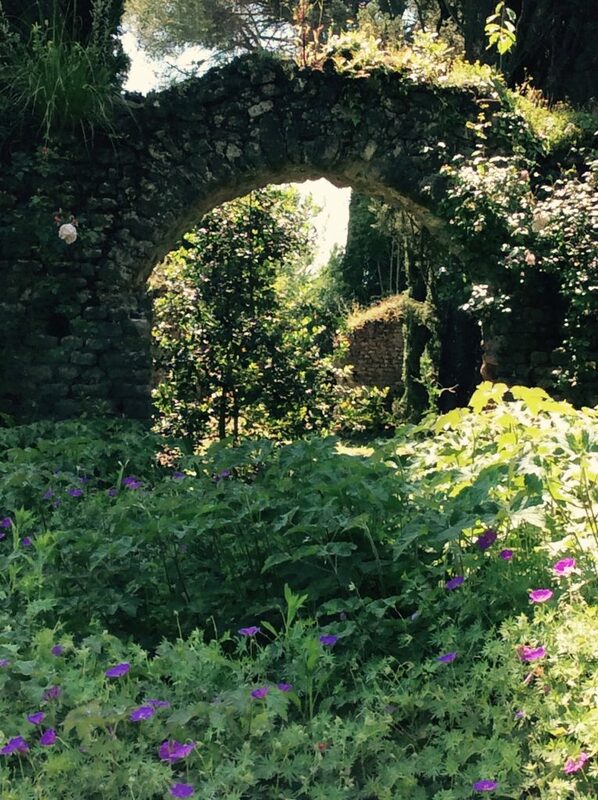 TheEye had heard the most wonderful things about the gardens of Ninfa and longed to go and see for herself. Laid out within the ruins of a small medieval town situated forty-five miles southeast of Rome, the name, Ninfa derives from a small temple built near a spring dedicated to nymph goddesses in Roman times. It is a magical, mystical and unique place, full of atmosphere. 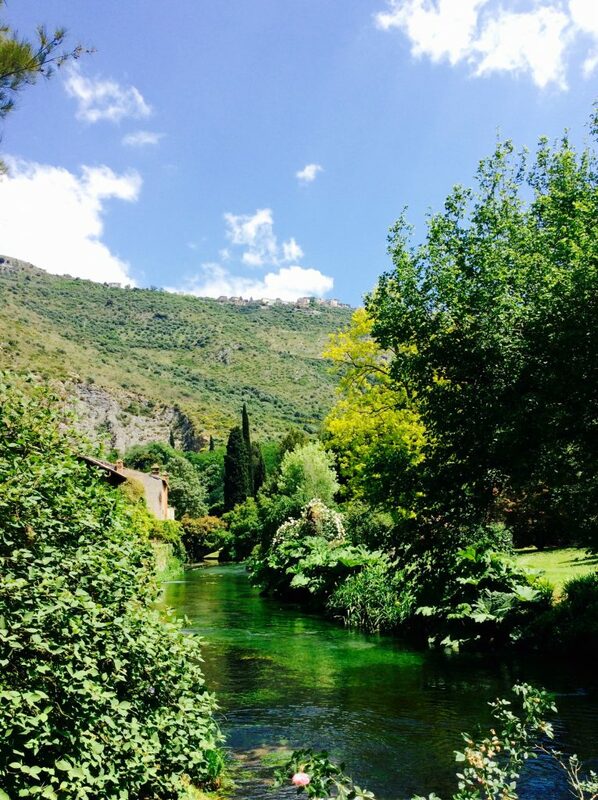 For TheEye, visiting Ninfa was a dream come true. 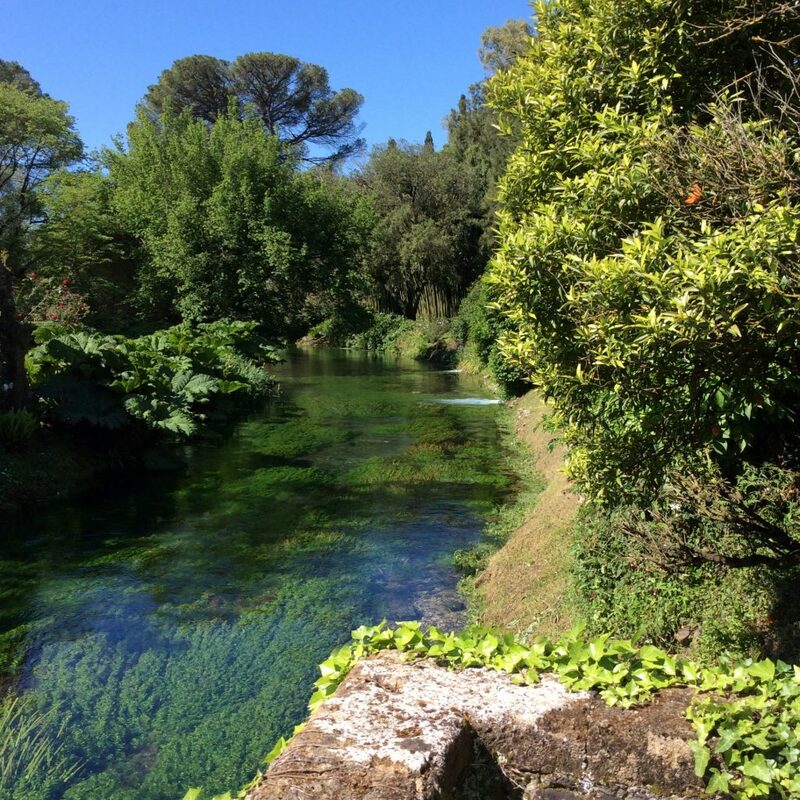 Ninfa’s history dates back to 750 when its estates were acquired by Pope Zacharias. 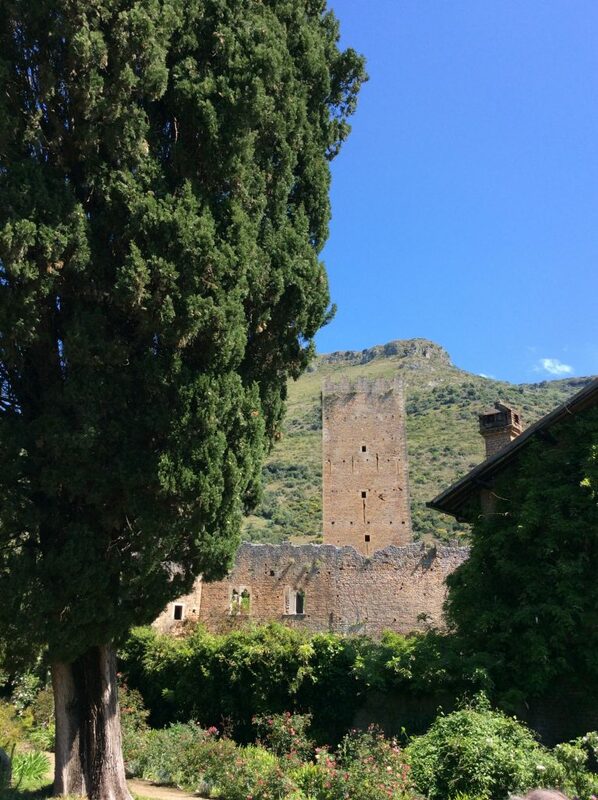 The fortified structure of the town continued to be developed by a succession of Popes anxious to control the properties and its strategic position. The area was generously supplied with water, making it richly agricultural. 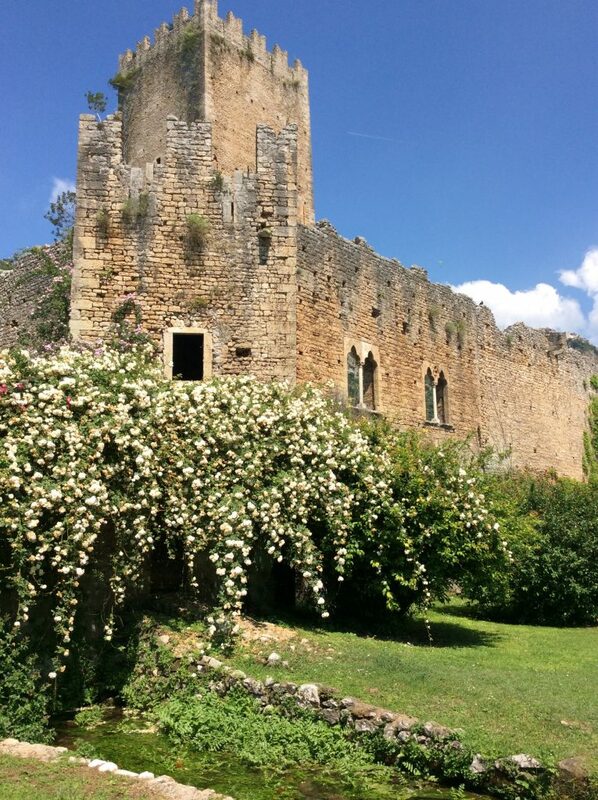 Although few records documenting life at Ninfa remain, the surviving architecture and faded frescoes on what remains of the churches and fortifications make it clear that Ninfa was known for artistic accomplishments as well as commercial and military prestige. 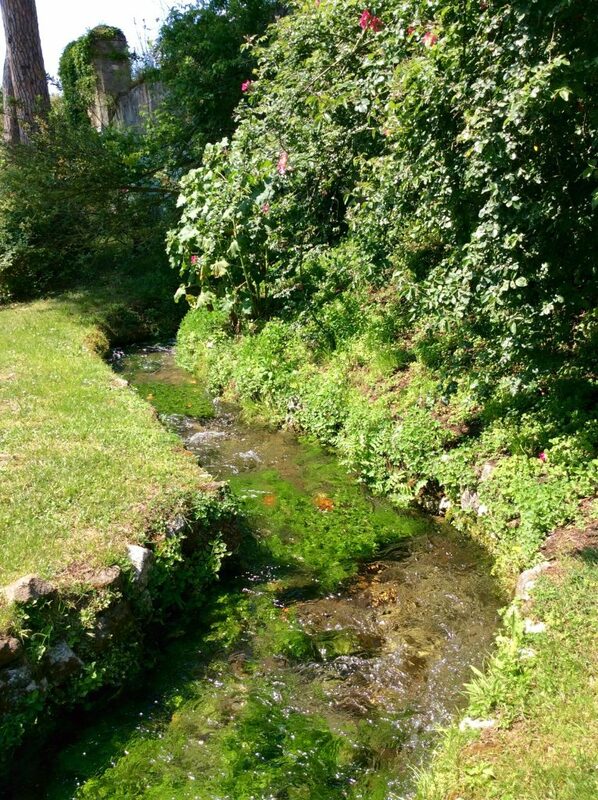 Ninfa prospered until the 14th century, when it was destroyed by civil wars, fell into ruin and ceased to exist. The inhabitants fled and settled in neighbouring towns and villages. Later efforts to resettle were frustrated by a strong outbreak of malaria in the region and radical social and economic deterioration. In the 1600s, Francesco Caetani, a passionate horticulturist, created a brilliant formal garden in an area protected by the old walls of the town, crossed by hedges and planted with bulbs. A succession of Caetanis ultimately revived its fortunes, transforming it from a place of desolation and melancholy to one bursting with life. Prince Gelasio Caetani, writer, architect, and soldier, and a man way ahead of his time in techniques of restoration and ecology, together with his English mother, Ada Bootle-Wilbraham (the first of three celebrated Caetani duchesses to be involved with Ninfa) began the major restoration of the ruined houses and churches. 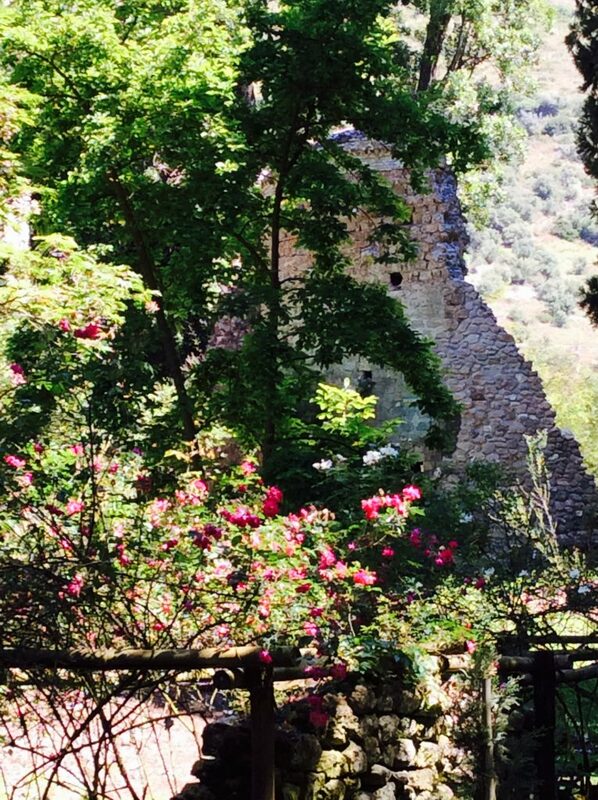 By 1860, Ninfa had been transformed into a romantic garden. 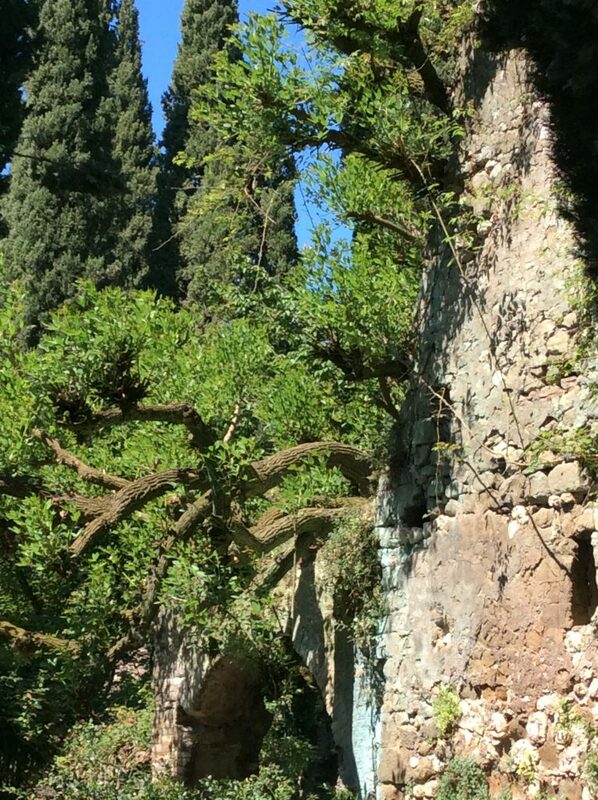 Numerous cypress trees, cedars, and American walnuts lined what had been the ancient street of Ninfa. The principal restoration and recovery work really began in the 1920’s and lasted until the early ’50’s, thanks to the passionate commitment of the wives of various Caetani dukes – Marguerite (nee Chapin) the American-born wife of Duke Roffredo. 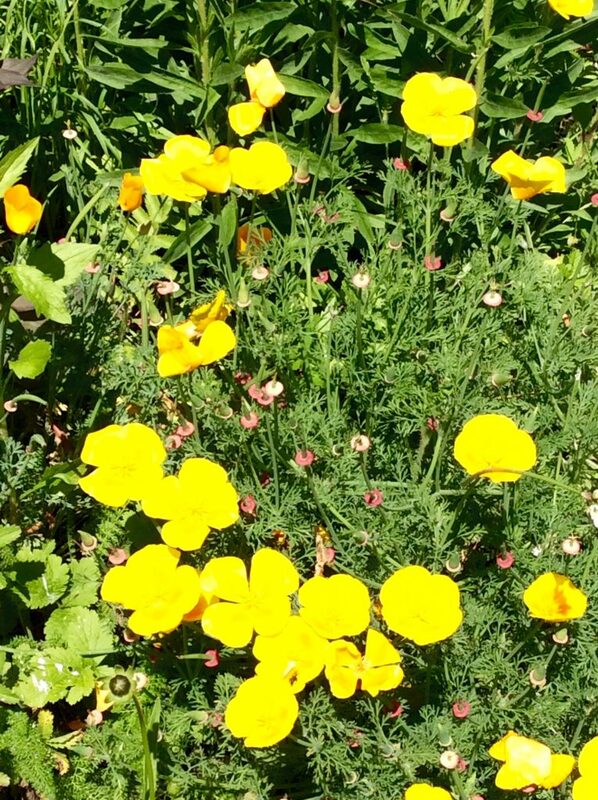 These women immersed themselves in expanding and nurturing the garden with great skill and making it into a centre of inspiration for poets and artists. 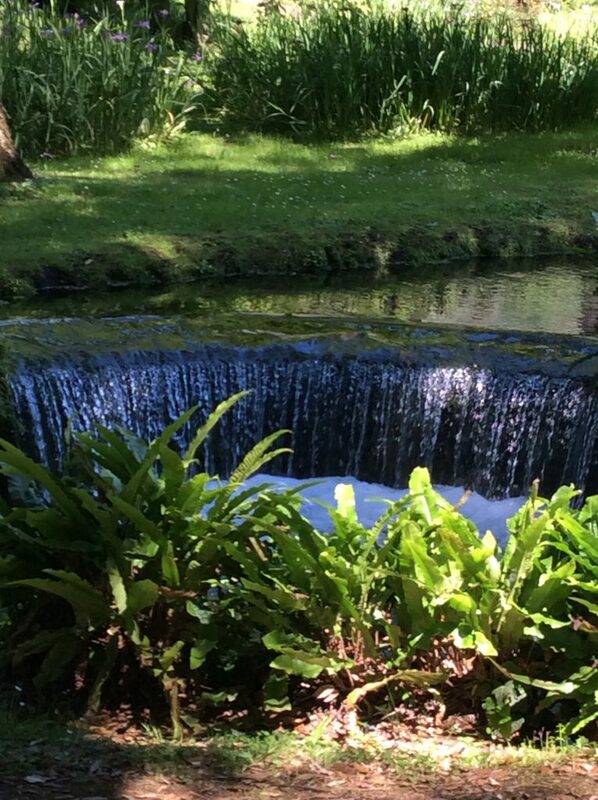 Marguerite and Roffredo designed distinctive water courses and waterfalls. Another female family member, Donna Leila was the last of the family for whom Ninfa was to become a consuming passion. She was a gifted painter and often used her imagination to position trees and plants, always considering colour, form, and continuity throughout the season. In 1951 she married Hubert Howard, also a member of Anglo-Italian nobility. 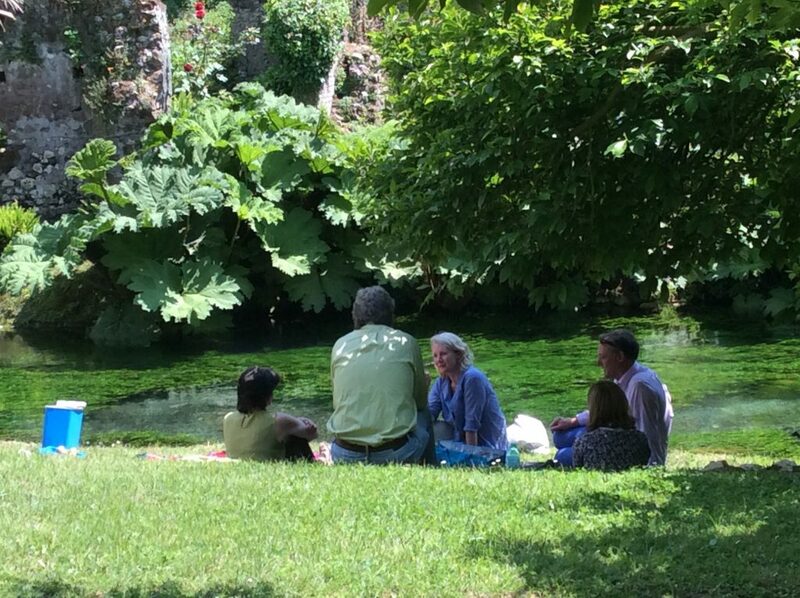 During TheEye‘s visit, she overheard someone say the Italian author Giorgio Bassani, a great friend of Lelia, often stayed at Ninfa and was so inspired by the beauty and spirit of the place that he set his wonderful book ‘The Garden Of the Finzi Continis’ in a similar setting within the city of Ferrara. Before her death, Leila set up a foundation for the preservation of Ninfa and Hubert became the first president. Picnicking on the river bank in the warm sunshine. 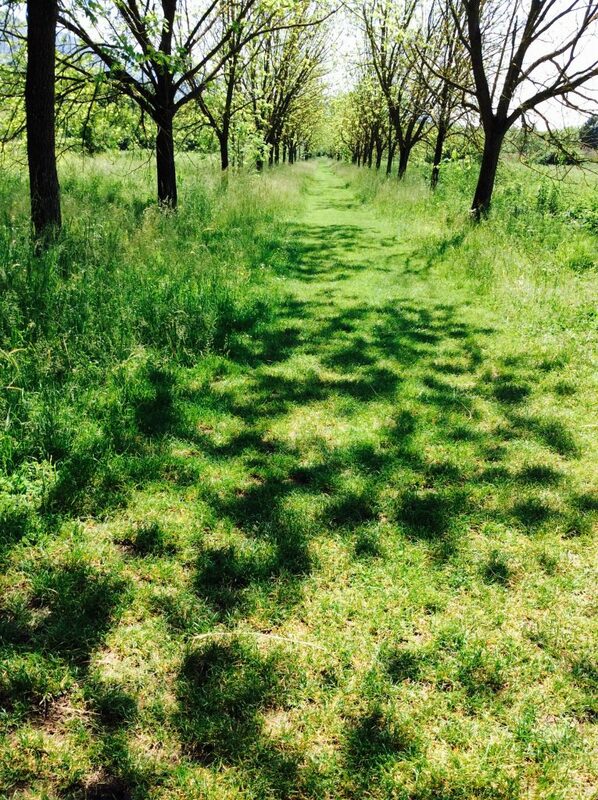 Wandering through the grounds is a journey of discovery. 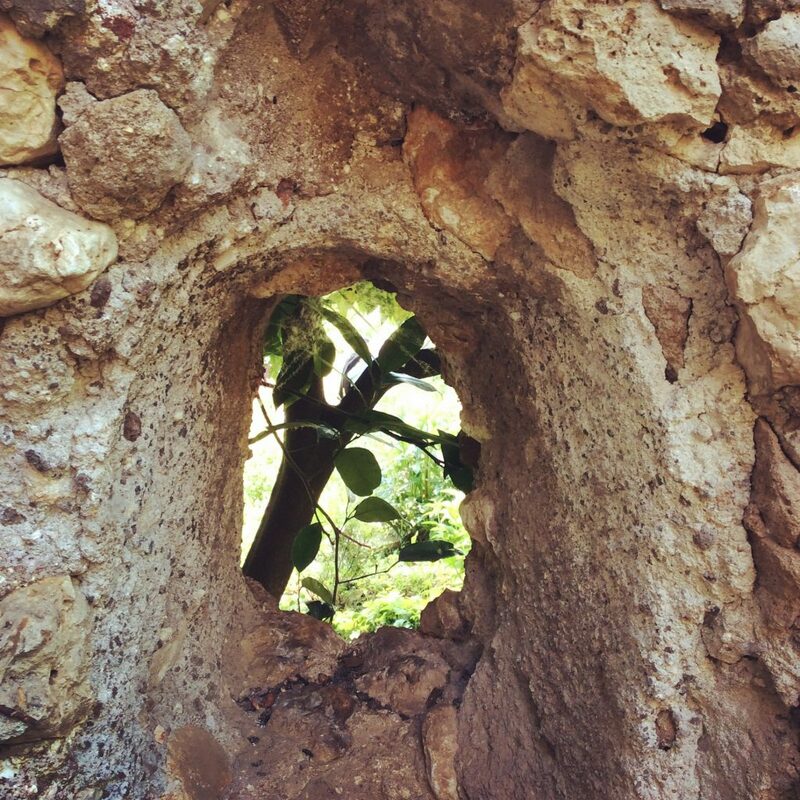 There is a sense of mystery – of being inside a work of art – colours against stone, views and horizons and the artistic harmony of foliage and shades of green in the setting of the ruins. 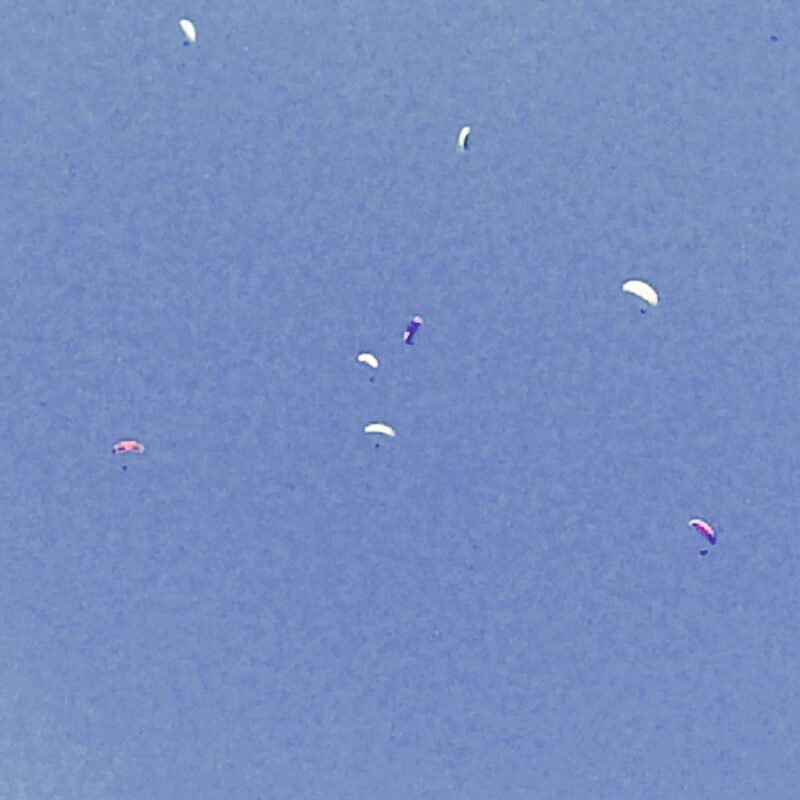 On the day TheEye visited, they sky was blue and paragliders were gracefully floating around against a backdrop of puffy white clouds. Disney couldn’t have competed with the magical unreality of the scene. The garden is not divided into sections but consists of contrasting and unexpected moods. Often, when we have high expectations of a place we have heard so much about and long to visit, it can be a letdown and slight disappointment. Ninfa exceeded all expectations. The reflections, the colours, shadows, and tranquility are part of the seduction – an experience TheEye will never forget. Lie in bed, think of Ninfa and be ensured of pleasant dreams. What a truly stunning place. Absolutely delicious.. On my wish list!! Have been longing to go to see Ninfa for many years. 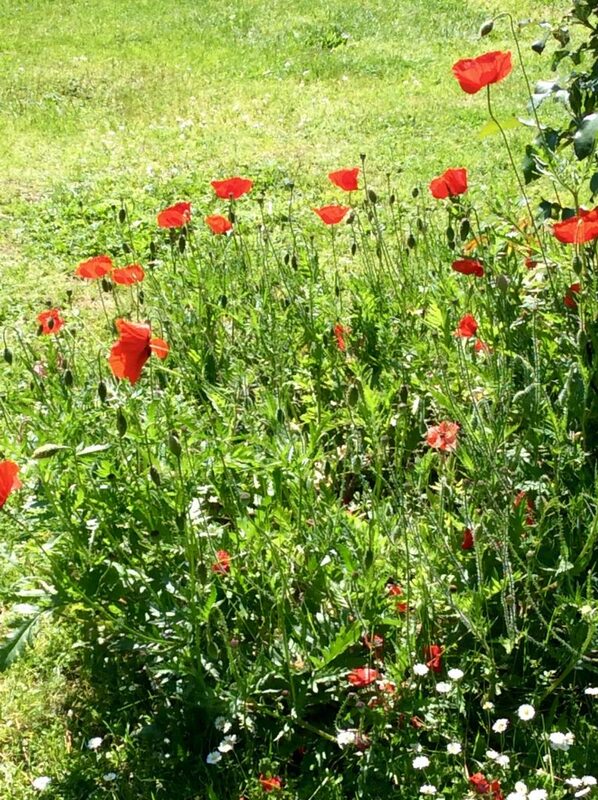 It’s my idea of a truly beautiful garden. Love nature doing its own thing. Thanks for all the wonderful information. I knew very little about its history, so now, when I do go, I shall be armed with some knowledge. Definitely on my bucket list. Thank you for this. ? What a wonderful journey. It seems almost magical. 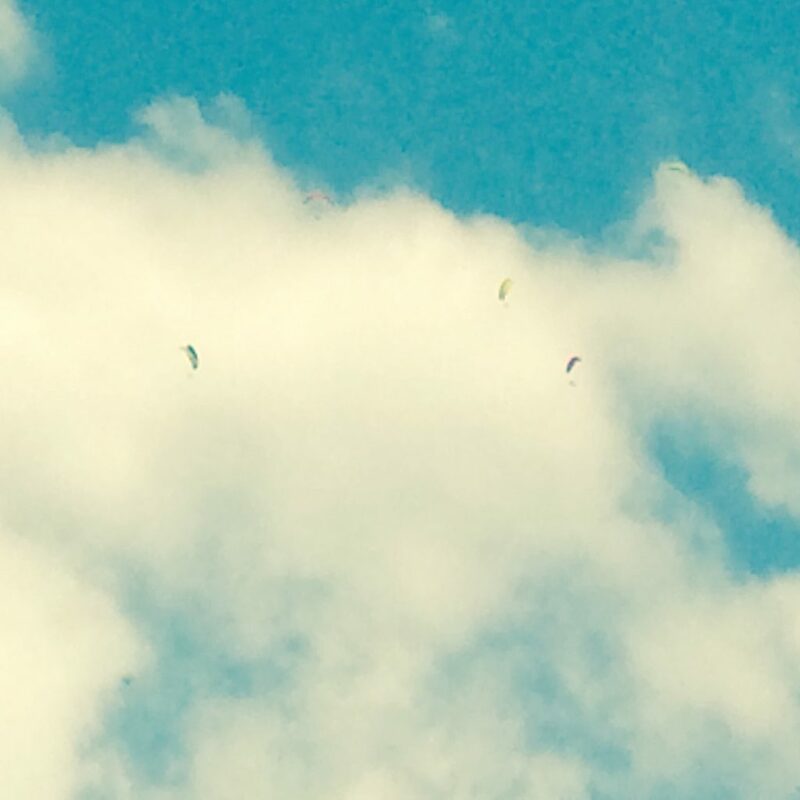 Thanks for going and showing..I lived so near for four years and never heard a word…wonderful! !